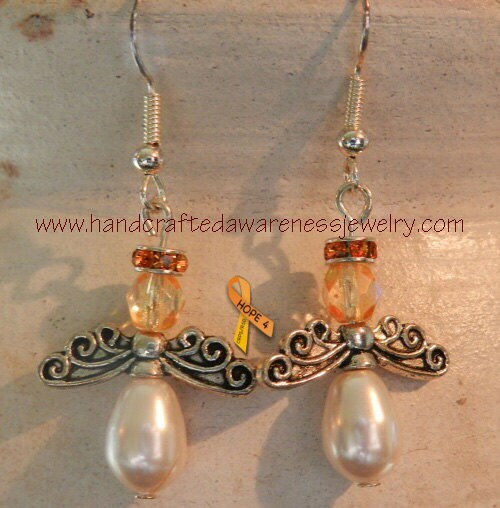 These Guardian Angel Earrings are designed using Swarovski and Czech crystals plus glass pearls. Wings may differ than photo as I am not always able to get these wings. The standard ear wires for these earrings are Non-Tarnish. If you need hypo-allergenic, sterling silver and/or gold please ask ahead of time as I have these in stock but the cost would be higher using any of these specific ear wires. These angel earrings are truly beautiful. We got them because the angel's head is a pale orange. 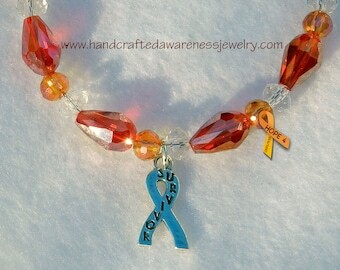 Orange is the colors of CRPS month. This was awesome! 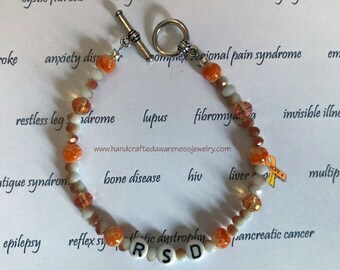 It was even more awesome that it was advertised with CRPS in mind as so many items that she makes. I have seen other angel earrings but these are a bit larger...Just the right size really for a teenager. They also look extremely elegant while still saying "Hey I have something to say too!" These really are the most beautiful angels you will find. 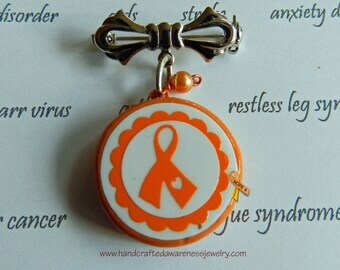 I am so grateful to Belle for the earrings and so much more!